Yes, the previous album is called Prayers for the Damned, Vol. 1. There is no second volume of that album just as their is no first volume of Prayers for the Blessed. Yeah, I get what they were trying to do, but it’s a little off. Nikki Sixx wasn’t kidding when he said the band would release not one but TWO albums in 2016. I kinda thought he was blowing smoke and though “ah, that’ll never happen, the next album will come in 2017”. 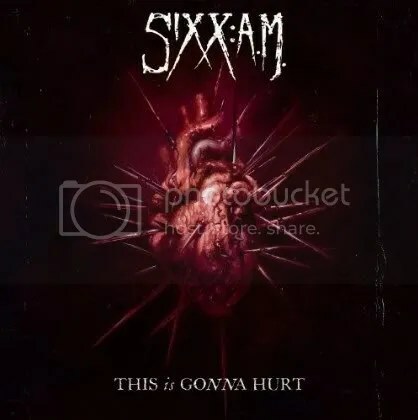 Happily, I am proven wrong as Prayers for the Blessed is easily the best album Sixx:A.M. has released since the classic This Is Gonna Hurt! While Prayers for the Damned was an improvement over Modern Vintage, Prayers for the Blessed is even more of an improvement over the album that preceded it. Big hooks, some great riffs and melodies, big vocals and choruses… This is what I want from Sixx:A.M. I usually don’t rate short instrumentals as highlights, but guitar-only 1 min 21 seconds of “Catacombs” is VERY cool and has EVH vibe to it. They even do an exceptional cover of “Without You”. No, it’s not the Motley Crue song, it’s the Harry Nilsson song. My absolute favorite track on this album is “The Devil’s Coming”. Such a ferocious start to the song before bringing in the hook and chorus with James Michael’s amazing vocals on display. Definitely a highlight album of 2016 with very little filler. Okay, this is more like it. After the truly excellent This Is Gonna Hurt, I felt letdown by Modern Vintage. Now having listened to Prayers for the Damned, Vol. 1, I’m glad to see that Sixx:A.M. can still produce an appealing album. The trademarks of Sixx:A.M. are here: a mix of uplifting anthems and melancholy songs about a need to be better and live better while still facing and struggling with the demons inside. And I can’t talk about Sixx:A.M. without mentioning the vocal talents of James Michael. He’s been in the music business as a producer/songwriter for a long time and I really think he’s probably the best voice you’re going to hear on modern rock radio. He perfectly conveys whatever each songs calls for, whether it’s defiance and positivity or fragility and suffering. I’m glad Nikki Sixx is continuing on without Motley Crue and still creating new music. I think he’s one of the most talented songwriters to come out of the ’80s Sunset Strip scene. He gets how to write modern hard rock but still keep it hooky and melodic. As you can tell by the title of this album, there is a Prayers for the Damned, Vol. 2 set for release later this year and I’m looking forward to it. This is the third release from what was originally intended to be a Nikki Sixx side-project that I now hope will become a full blown touring/recording band once Motley Crue finally wraps up their concert days. Going back to the band’s debut, they always had a knack for writing big choruses and catchy melodies although given the nature of lyrical content, the music was a bit more ugly and harder edged. This Is Gonna Hurt featured the band spreading their wings and writing hook after hook and chorus after chorus. It’s one of my favorite albums of all time and still receives play from me to this day. With Modern Vintage, it seems like the band is experimenting with styles a bit. This Is Gonna Hurt definitely had some pop moments that would’ve have sounded out of place on a Kelly Clarkson album but now it seems like the band is trying out what I basically think is dance rock with a song like “Miracle”. Then there’s “High on the Music” which comes across as a reworking of Imagine Dragon’s “Ready to Rock You”. Then there’s a pretty straightforward cover of The Car’s “Drive” that seems pretty pointless. “Before It’s Over” is kind of an odd one in that it’s a bouncy tune featuring trumpets. It’s strange and sounds like something that could’ve been from The Heroin Diaries Soundtrack. I hated it when I first heard it but it’s growing on me just because it’s quirky. I’m glad it closes the album though. It would’ve completely ruined the album had it been stuck somewhere in the middle.”Get Ya Some” sounds like it could’ve come from the debut as well. Sixx:A.M. has always written catchy music but it seems like they are making an effort with some songs to become a bit more mainstream. This isn’t necessarily bad but songs like “Miracle” and “High on the Music” seem to get their inspiration from music scenes I couldn’t care less about. On the flip side, “Stars” and “Gotta Get It Right” are stone-cold classics and sound like they could’ve come from This Is Gonna Hurt, which was a great album from top to bottom with zero filler. Modern Vintage is a good release that’s better than their debut but a step down from This Is Gonna Hurt. Perhaps the band would’ve been better off releasing an EP as I’m finding half the album to essentially be filler. 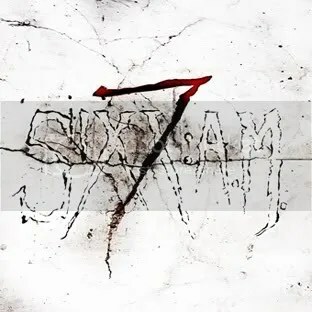 On the same day the band released 7 (an EP featuring stripped down and rearranged versions of previously released songs) for download, Sixx:A.M. also released the song “Codependence” exclusively through iTunes for FREE. “Codependence” comes from the This Is Gonna Hurt sessions and while it was previously unreleased here in the United States, it appeared as a bonus track when the album was issued in Japan. Though Japan often gets bonus tracks, sometimes those tracks aren’t really worth listening to in the first place, they’re just filler. Well, that’s not the case this time. “Codependence” doesn’t rate with the very best of This Is Gonna Hurt but I still like it. It’s much more straight forward than most of the tracks from the album making it a bit less memorable whenever James Michael is singing a chorus he can make the song sound like something you should be paying attention to. Even through the self-loathing and moody lyrics a lot of Sixx:A.M. come off sounding like really cool rock anthems and that’s what “Codependence” is to me. But why take my word for it? It’s FREE. Go download it and listen. One good thing about the digital age of music is how quickly a project can be announced to the public and then released. 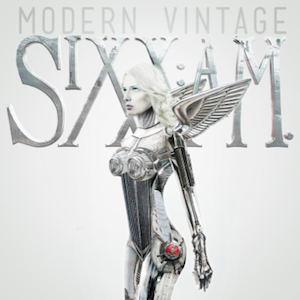 It was late November when Sixx:A.M. announced an acoustic EP was on its way and just a few weeks later it was digitally released on December 13th. I think it’s an iTunes exclusive but I’m not positive. I’ve always been a fan of Sixx:A.M. Despite a few odd moments, The Heroin Diaries was good overall and This Is Gonna Hurt (which was released earlier this year) is absolutely fantastic with not a single foul track to be found. They’re a great live band as well. So when they announced they were re-working previous songs into an acoustic EP, I knew it was going to be good. The whole acoustic thing isn’t really appropriate labeling though. The band has since backed off a bit on calling 7 an acoustic EP, preferring to say the songs are “stripped down”, which is the accurate statement. It’s not as if this is an “unplugged” performance. The production is still here, electric guitars as well, but the arrangements are different and acoustic instruments feature more prominently. I like how James Michael didn’t lower his voice to a whisper just because the songs are “stripped down” and the tempo has changed. He’s still soaring on these songs when appropriate and he continues to prove himself as one of rock’s best vocalists. I think “This Is Gonna Hurt” is a particularly beautiful song and stands out the most on this EP. The band has taken it in a completely different direction here and have turned it into a haunting piano-based ballad. Given Sixx:A.M.’s strong sense of melody and dark, emotive lyrics you can pretty much switch any of there songs from rocker to ballad or ballad to rocker and come out with great results. The final words I have to say is that these were all great songs in their original form. They are all given a twist here on 7 and I consider the whole experiment a huge success. Sixx:A.M. itself has been a huge success in my eyes. They are one of the best bands to come along in the last 10 years and I’m anxious to see what else they have planned. Nikki’s side-project is at it again and, no surprise, he’s doing the dual promotion thing by releasing a collection of photos and personal stories called “This Is Gonna Hurt: Music, Photography And Life Through The Distorted Lens of Nikki Sixx” at the same time. I haven’t picked the book up yet but I’m hearing good things about it so I plan on doing it soon. The difference this time is that The Heroin Diaries served as a soundtrack to the book of the same name where as there is only a loose theme connecting the album and book. Basically, the theme is that beauty can be found in anything and anyone and not necessarily in what society deems to be “beautiful”. “Lies Of The Beautiful People” and “Skin” deal with this idea explicitly. Given this looser connection to Nikki’s latest book, This Is Gonna Hurt is certainly the more commercial sounding of the two albums they’ve released. It’s freed from the shackles of trying to tell a story and reflect chapters in a book so what they’ve delivered is a hooky and haunting collection of modern alternative hard rock that is radio-ready and melodic yet with lyrics still dark and emo enough for people who like to shop at Hot Topic and wear black fingernail polish. Though Sixx:A.M. has no intentions to tour, I could see them doing well as an opening act for a band like Avenged Sevenfold. So, seeing as how this album seems to have been written with airplay in mind some of the songs don’t necessarily come across as anything special. While there are no bad songs on this album, a few come across as exactly what they are — attempts at commercialism. Though I suppose it has worked since the album sold 30k copies in the first week and debuted at #10 on the Billboard charts. This album seems to run the gamut. There are hard rockin’ anthems like the excellent “This Is Gonna Hurt” and the lead single “Lies Of The Beautiful People”, the rock/pop of “Are You With Me” (think Daughtry or David Cook) and then there are tender moments like the album’s low-key closing number “Skin” or the laid back country pop of “Feels So Right”. “Live Forever” is another album high point and along with “Smile” it really helps to point out the album’s more positive and upbeat nature in comparison to The Heroin Diaries. But don’t worry, there are darker moments like the emo-tastic “Deadlihood” and “Goodbye My Friends while “Help Is On The Way” has lyrics that go: “Sometimes I wish you were dead and I’m not even joking/I’d put a gun to your head/And when your world crashes down, you’ll see it’s not so funny/What will you say to the press”. For my money, this is one of the year’s best albums and I hope this isn’t the end for Sixx:A.M. (though I doubt it is). Nikki says he’s already working on Book #3 so I’m sure we can expect a new album at that time! If you were into The Heroin Diaries, you’ll be into This Is Gonna Hurt. Buy ‘This Is Gonna Hurt’ from Amazon.com! I picked this one up the first day of its release just because it was Nikki Sixx and he’s been one of my favorite “rock stars” and song writers for a long time. Nikki has often dabbled in side projects (58, Brides of Destruction) so it was no surprise when it was announced that a “soundtrack” album would be coinciding with the release of his autobiography The Heroin Diaries: A Year in the Life of a Shattered Rock Star. Each song represents a chapter in the book, and the book (if you couldn’t tell already by the title) documents Nikki’s drug problems and focuses on his life from December ’86 to December ’87. This album could’ve easily been released and forgotten, something that only Crue fans would even have a passing interest in, but something really cool happened — the lead single “Life is Beautiful” took off at rock radio and eventually hit #2 on Billboard’s Mainstream Rock charts and album sales currently sit at 200,000+! It’s always feels good to see good music appreciated and I was really happy for Nikki over the success of this album. As soon as I heard “Life is Beautiful”, I knew that if it actually was able to get some support and onto radio, it would be a hit. It’s the album’s best song and James Michael’s vocals soar (he sounds just like this live as well). All acknowledgment doesn’t fall to Nikki though. Even though this album was based on his life and book, it’s very much a band project. 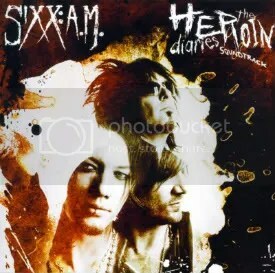 Nikki Sixx, DJ Ashba and James Michael (Sixx:A.M.) all worked together, co-producing and co-writing and the result is a modern hard rock album with touches of pop radio friendly songs (“Accidents Can Happen”). This is definitely NOT something similar to Crue, and that’s a good thing. Some songs fall short with me, there’s kind of a twisted carnival sound to a few songs like “Intermission”, “Life After Death” and the opener “Xmas in Hell”. All feature Nikki Sixx narrating an entry from his diary and then it becomes like a demented version of Trans-Siberian Orchestra. So I don’t care much for those songs and then my other gripe is there too many ballads. I was a little disappointed by this release because I think it tries to be too theatrical at times, but it is a decent enough modern rock release that shows a lot of promise for the follow up.